Daryl Johnson (Worcester Park, United Kingdom) on 7 November 2017 in Food & Cuisine. I have all of this near home except "mentaiko furansu"...... ! 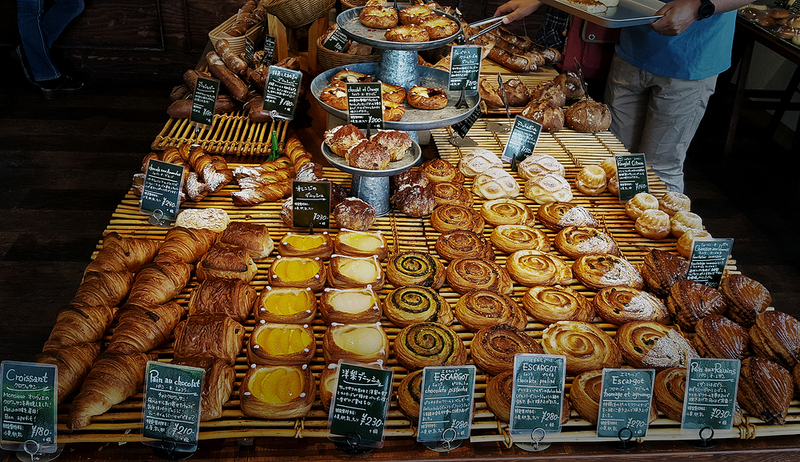 @Gérard: The Japanese do very well at copying French boulangerie... if you ever get a chance to try mentaiko furansu I recommend it! Delightful looking pastries. Some of the bakeries I visited in Hiroshima had less elegant fare. They often had hotdogs baked in a bun, etc.